Disarmament campaigners welcomed the result, but condemned the UK for attempting to frustrate the negotiations. “It’s very encouraging to see so many countries say loud and clear it’s time for the world to move on from nuclear weapons,” Campaign for Nuclear Disarmament (CND) chair Kate Hudson said. “We have united before to ban biological and chemical weapons, landmines and cluster bombs, and now the international community is taking decisive steps to ban nuclear weapons. “It’s therefore very disappointing to see the British government attempt to thwart these vital negotiations. “We urge the British government to rethink its approach, to support and participate in the UN conference in 2017 that will explore steps towards a global nuclear ban,” she added. The most vocal supporters of the treaty included Austria, Brazil, Ireland, Mexico, Nigeria and South Africa. Some nuclear-armed states abstained on the vote, including China, India and Pakistan, while opponents included the United States, Russia, the UK, France and Israel. 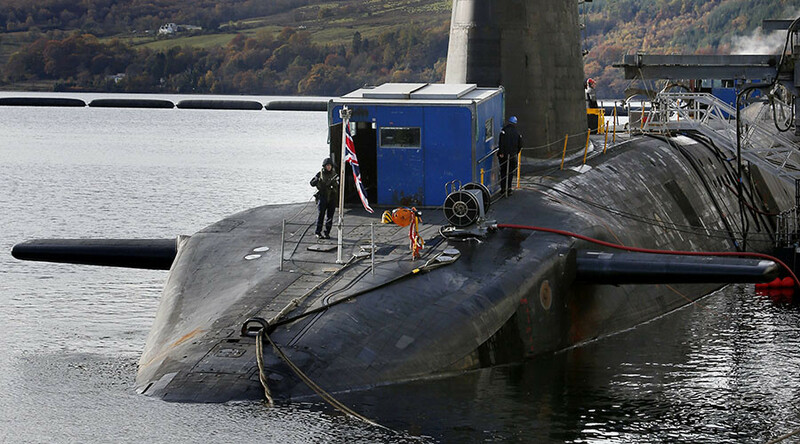 Green Party MSP John Finnie accused the Westminster of giving up on nuclear disarmament. “Instead of siding with the overwhelming majority of the world’s nations in voting to set up a conference to negotiate ways of prohibiting and eliminating weapons of mass destruction, the UK voted with the nuclear club states who continue to stand in the way of progress on disarmament,” he said. A Foreign Office spokesman said the UK is committed to achieving a world without nukes through multilateral disarmament. “The UK voted against the resolution at the UN General Assembly First Committee as we do not believe that the negotiations it mandates will lead to progress on global nuclear disarmament,” he said.